The first chapter is titled: The Hundred and Fiftieth Day Before the Execution. These words usher in a black cloud of impending doom. 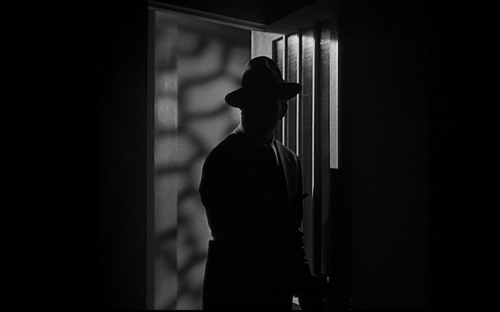 Color fades and is replaced by the shadowy gray scale of the 1940s noir movies. I can feel my nerve endings start to tingle and the piano wire that holds my skeleton together stretches tight. Cornell Woolrich was already manipulating me before I even had a chance to pour a couple of fingers of bourbon or roll a matchstick between my teeth. Scott Henderson has a fight with his wife. Not that the evening was going to be pleasant, because he was going to be asking her for a divorce, but he had bought tickets to a nice musical show and had booked a restaurant that had fond memories for both of them. These were plans made with the best of intentions, but the fickleness of fate was vibrating a few strings that would insure that the evening went nothing like he planned. There were a lot of things he should have done different. Alan Curtis, who died tragically young, played Scott Henderson in the movie. The evening with his wife never happens. In fact, after strafing each other with words that leaves hot shrapnel buried deep in his belly, Scott storms out of the apartment and soon finds himself in a bar with a handful of scotch and glass. A woman is there. 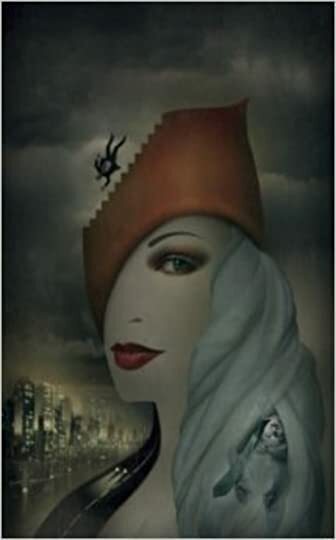 She was as memorable as a gray sky except for the hat she was wearing. It was an orange flame of color that draws the eye and somehow elevates her from ordinary to extraordinary. On a whim he asks the woman in the hat to help him use the tickets. An odd thing to do, but then he works for a living and earned dollars always have more value. He can’t just tear up the tickets to the show. No names, no shared histories between them, what is the point after all they will never see each other again. They go to dinner, catch a cab, go to the show, and part from each other at the end of the evening knowing next to nothing about each other. He comes home to a house full of detectives and a dead wife. I can’t think of a better way to put a man in the frame than to strangle his wife with his own necktie. I have around thirty stranglers in my closet. I hadn’t really thought of my ties as weapons, but in a pair of strong hands a tie becomes a very capable murder weapon. None of it really makes sense to the cops, but the evidence is strong against Scott. His story is hackneyed and unbelievable. He can barely remember the woman or really even that much about the evening. As the cops follow up on his movements that night everyone who is interviewed remembers him, but doesn’t remember the woman. The woman has become a phantom. The cops have their case, after all murder investigations are generally just a matter of following the numbers. They have more than enough evidence to put Scott in the electric chair. This is the ultimate nightmare, right? You know you are innocent, but all the evidence points to you. You start to question your own sanity and start to imagine the possibility that the tie was gripped in your hands, and death for those crucial seconds must have filled your eyes. 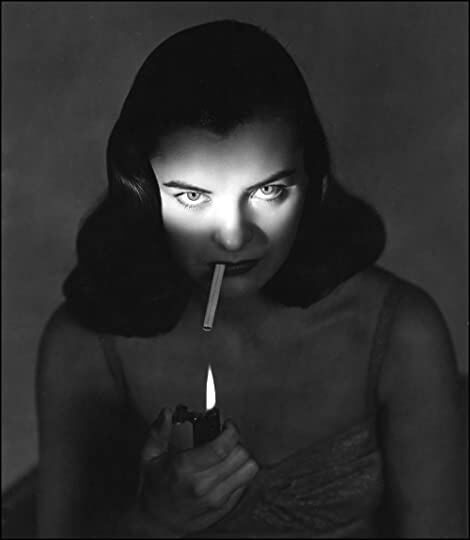 Ella Raines plays Carol Richman in the 1944 movie. Carol Richman, his girlfriend, otherwise known as his motive for murder, doesn’t believe he killed his wife. His best friend John Lombard is asked to come back from South America to help find something, anything to help stay the execution. You might want to take a moment right now and go through your list of friends and acquaintances and think about who would not only stand by you under circumstances such as this, but who would also actually stretch their neck out to help save you. If your list is short or maybe even nonexistent then your list is a match for mine. As Lombard and Richman track down each of the witnesses and begin to break down their stories the plot starts to feel like script pages from the movie Angel Heart. Witnesses that finally crack are found dead before they can tell their tale to the cops. The clock is ticking and as the days and the hours count down everyone becomes more and more desperate. After all it doesn’t do any good to prove Scott is innocent after the switch has been thrown. The atmosphere of the novel is one of tension from the beginning to the end. The helpless terror felt by all the characters is palpable. The witnesses are squeezed. The searchers are overwhelmed by the urgency of their task. The dialogue is boiled and boiled again until it hits the reader like lead weights. If you feel safe, Woolrich will make you feel unsafe. If you are level headed and see the world with clear eyes this novel will wrap your heart in paranoia and strap dirty shot glasses over your eyes. Many of Woolrich’s novels and short stories were turned into films. The Alfred Hitchcock film Rear Window was probably the most famous and best adaptation of one of his stories. The famed French director Francois Truffaut also used Woolrich creations for two of his movies. 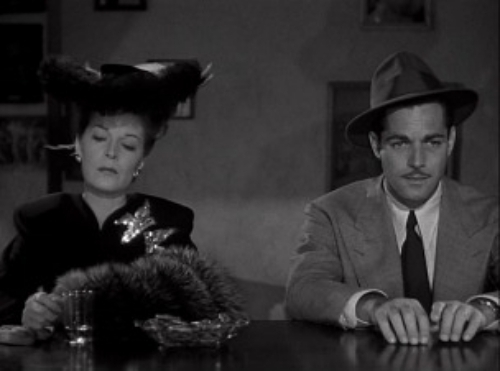 The director Robert Siodmak filmed Phantom Lady for release in 1944. That year was a marquee year for film noir. They didn’t call it film noir in 1944, but Hollywood was starting to discover that Americans would pay to see dark, gritty mysteries. Ten key films were released in 1944 and those films ushered in an avalanche of great noir films. 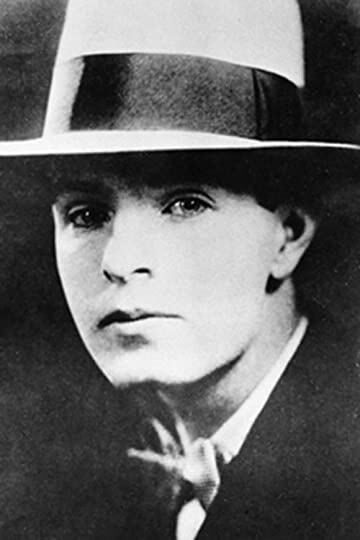 A biographer considered him the fourth best crime writer of his day behind Dashiell Hammett, Raymond Chandler, and Erle Stanley Gardner. It’s always been hard for me to place numbers next to writer’s names, but I will say that if you like those writers you should be reading Cornell Woolrich as well.